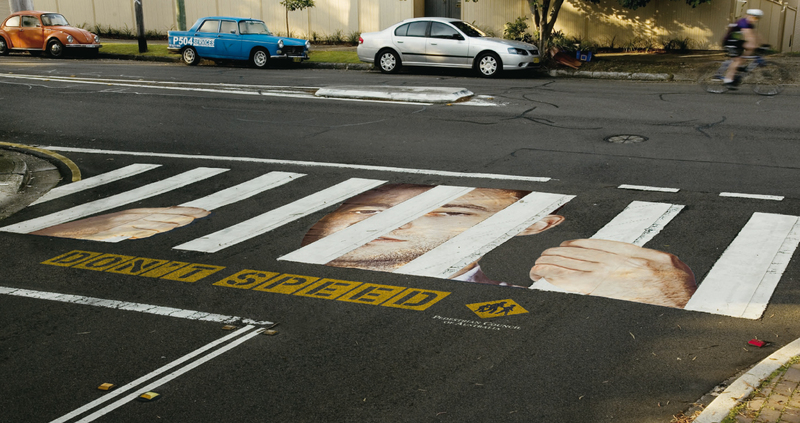 Pedestrian Council of Australia commissioned this ambient pedestrian crossing with a message – speed and you’ll end up behind bars. On the road is a face looking out from behind bars. “Don’t Speed”. The on-road advertisement was developed at Saatchi & Saatchi Australia, Sydney, by executive creative director Steve Back, art director Vince Lagana, copywriter Steve Jackson and producer Jeremy De Villiers.